The present architectural guide opens the door to the architecture of this fasci- nating metropolis. 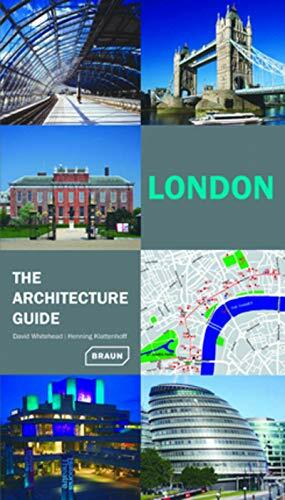 Two proven experts guide the reader through all the historical architectural eras – from the Roman past to the present. The chronological sequence and the high-quality photos clearly reflect the typical characteristic of every era. As well as several hundred individual buildings, the most prominent architects of London and every period are introduced. David Whitehead has been helping people connect with Jesus Christ for more than 30 years in churches throughout the United States and abroad. In 2009 David launched thedailybibleverse.org, which receives over 600,000 unique visitors a month, and growing. He is the lead pastor of Grace, a congregation in Manhattan, as well as a church planting coach for Acts 29 and Redeemer Presbyterian Church's City to City. David and his wife, Kathleen, live in Manhattan with their two daughters. Learn more at www.thedailybibleverse.org.